Colombia’s Football Federation (FCF) is reportedly in advanced talks with current Iran manager Carlos Queiroz with a view of appointing him as head coach of the national team. “We have met him twice (in Lisbon and Madrid) and he gave me a very good impression,” said vice president of the FCF, Alvaro Gonzalez to Caracol Radio. “I was thinking of a Colombian, but those we had (Juan Carlos Osorio and Reinaldo Rueda) were not available. I think this will be decided by Friday,” added Gonzalez. 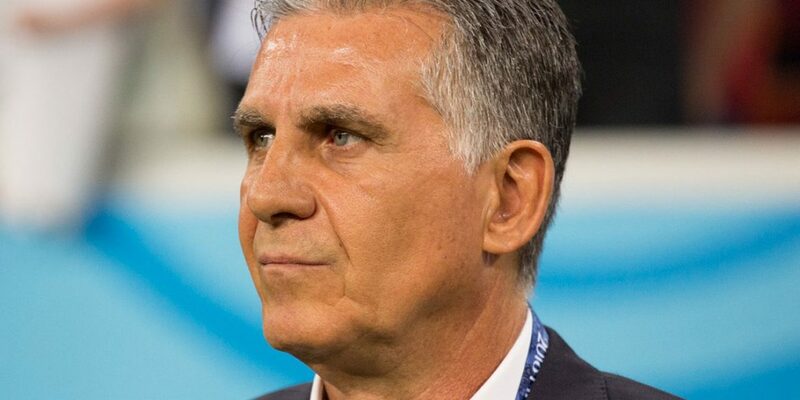 Officials from the FCF were expected to travel to the United Arab Emirates on Tuesday to finalize the deal but opted not to disturb Queiroz, who is currently in Asian Cup competition with Iran, which may delay the appointment further, reported El Tiempo. The 65-year-old is Iran’s longest serving football manager, having led “Team Melli” to the FIFA World Cup in 2014 and 2018, with the Iranians favourites to land this year’s Asian Cup. Pekerman led Colombia to back-to-back World Cups in 2014 and 2018 after a 16 year absence from world football’s top table but parted ways with the FCF following a disappointing elimination after under-performing against England in the last 16 of last summer’s competition. Arturo Reyes has been in interim charge since Pekerman resigned in September but with the draw for the 2019 Copa America taking place next week, the country’s footballing body will be anxious to confirm a long term successor. Queiroz is likely to take the reigns ahead of Colombia’s next set of international friendlies, which are due to take place in March.